AND, if you know someone from our class – let them know about the event Have them give us their contact information or eMail StElizabeth68@gMail.com. 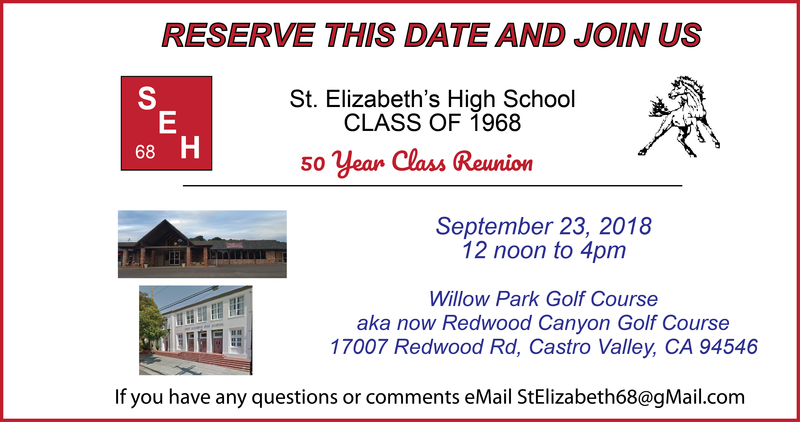 Our 50th Class Reunion is here! The cost is $75.00 per person, to cover the food, hall, music and photography. The deadline for receiving the commitments and payment will be August 24th.